If a Side Plank variation isn’t part of your regular core workout routine, you’re missing out on one of the most effective and safest core strengthening exercises. 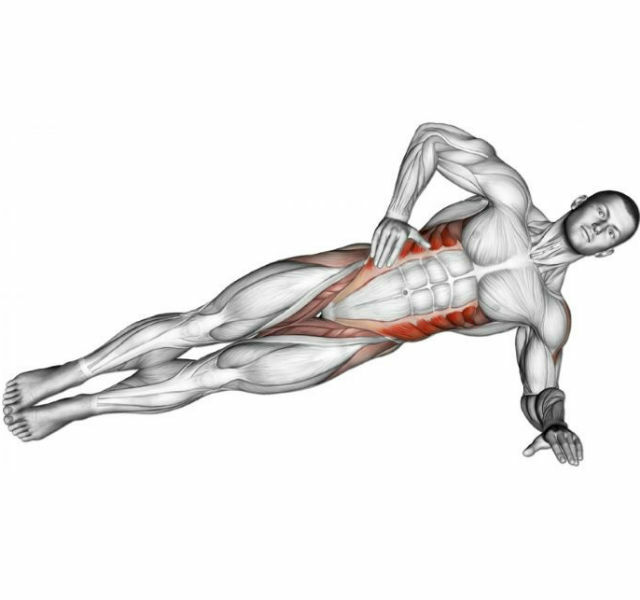 The Side Plank primarily strengthens the obliques, which are located next to your abs on both sides of your body. 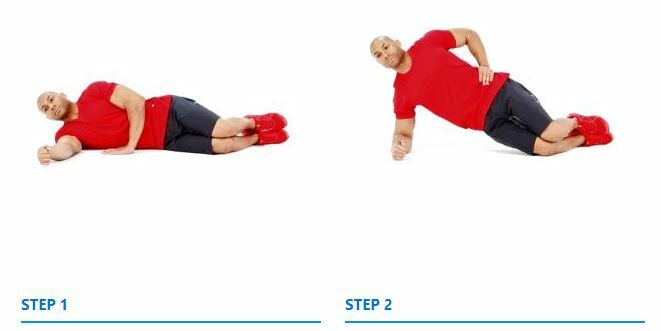 However, this is a full body exercise that also trains the muscles in your hips, chest and shoulders. Although there’s no moving in the Side Plank, it increases your durability and makes you a better athlete. A more stable and stiffer core is better able to transfer energy between your lower and upper body. Side Planks will improve the looks of your obliques if that’s what you’re going for. When you set up for a Side Plank, be aware of your body position. Stack your shoulders one on top of the other and keep your chest perpendicular to the ground. Maintain this position throughout the set. In a traditional Plank, the lower back often sags. The Side Plank is similar, but the hips are the culprit. Sagging hips indicate that your core isn’t doing its job of keeping your spine straight. Tighten your core as if bracing for a punch and drive your hips up into the air. It’s possible to hold a Side Plank without engaging your lower body. However, it’s not as challenging, and your hips may shift back out of alignment with your body. Just as you tighten your abs to raise your hips, also contract your glutes and quads. 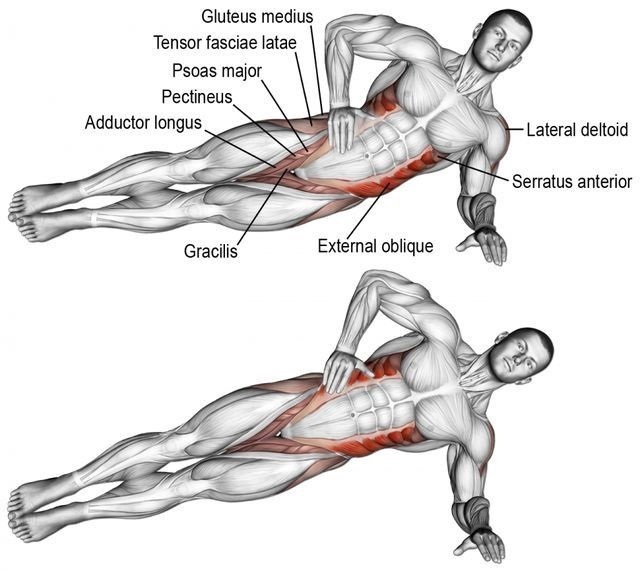 An elevated Side Plank is very difficult if you don’t have sufficient shoulder stability. This can put your shoulder at risk and ruin the technique in your Side Plank, because you’ll be so focused on not falling over. Start slow with your elbow on the floor and gradually progress to more advanced variations.